The popular configuration management tool Chef is typically used in a client-server architecture where clients check a centralized server for configuration updates. 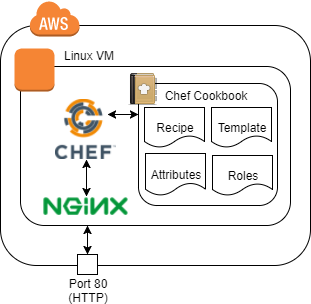 Chef Solo brings most of the benefits of Chef to a single server. 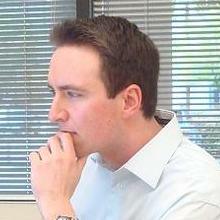 All of the concepts of Chef apply to Chef Solo: cookbooks, recipes, attributes, templates, roles, etc. In this Lab, you will gain experience with each of those concepts as you configure a Linux virtual machine in AWS using Chef Solo.